Li Jiheng, secretary of Inner Mongolia Autonomous Regional Committee, attended a symposium to discuss proposals offered by members from regional economic, industrial and commercial associations on Jan 25. 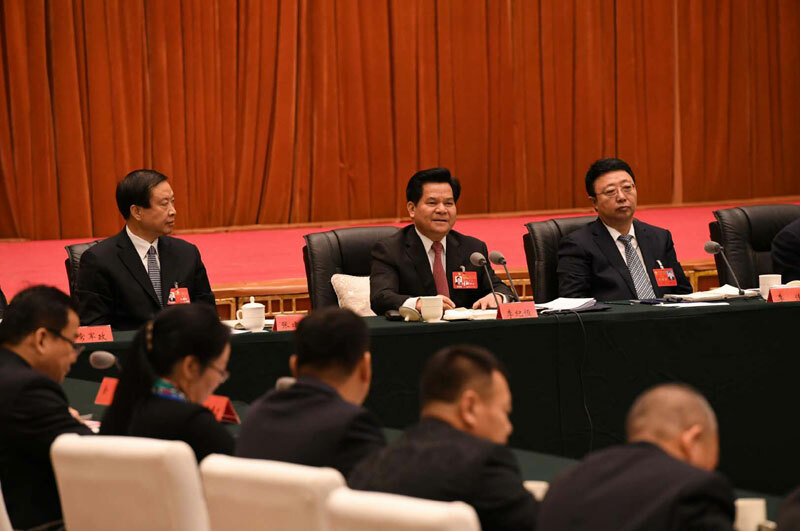 Li, also the director of the Standing Committee of the Inner Mongolia People’s Congress, encouraged committee members to seize the opportunity and build up confidence to improve the economic development of the region. He pointed out the achievements made over the past five years have come by hard-won. Economic departments at all levels should uphold the general tone of asking for progress while maintaining stability, and the majority of people from the economic sector should play an active role in promoting high-quality development, claimed Li. Li emphasized that deputies from economy sector should conscientiously implement the policies and measures in support of the development of the non-public sector of the economy, create a sound business environment and build a new type of business-to-business relations for small and medium-sized enterprises.